NOT TO WORRY-got you covered! - Charles Buell Inspections Inc.
You are here: Home / Featured / NOT TO WORRY—-got you covered! NOT TO WORRY—-got you covered! At an inspection a while back, it was apparent that the bathroom exhaust fan was not pulling any air. A simple test to see if a fan is pulling air is to see if it will eat a piece of tissue paper. In this case it would not—-not even a little bite. 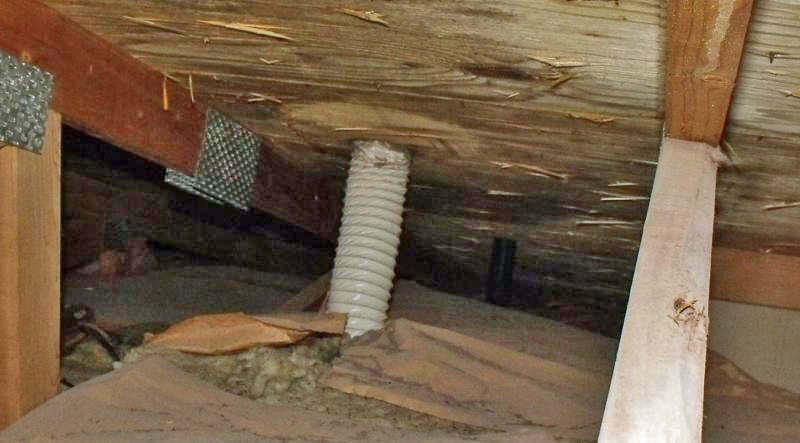 In the attic, the duct can clearly be seen terminating at the roof. 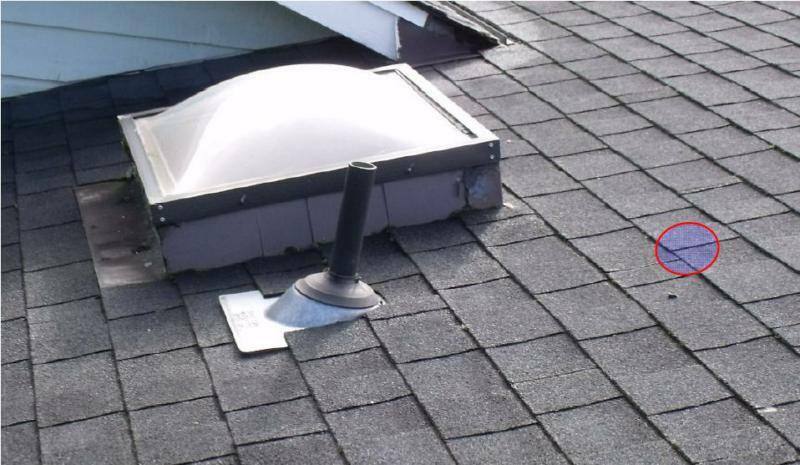 The exhaust duct makes it to the roof but…….. But, at the exterior, up on the roof—-where is the cap? ….but then were does it go? Sometimes this stuff is not rocket science.